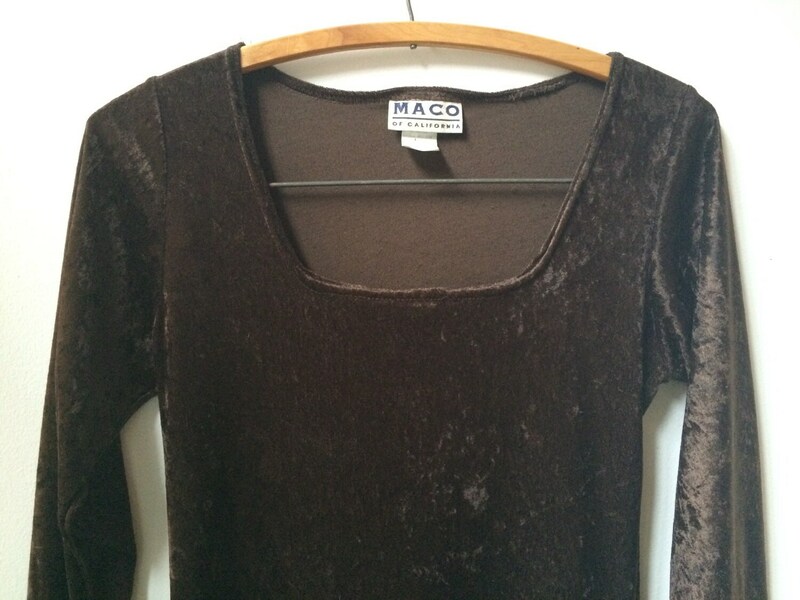 Dark brown crushed velvet dress by Maco of California. 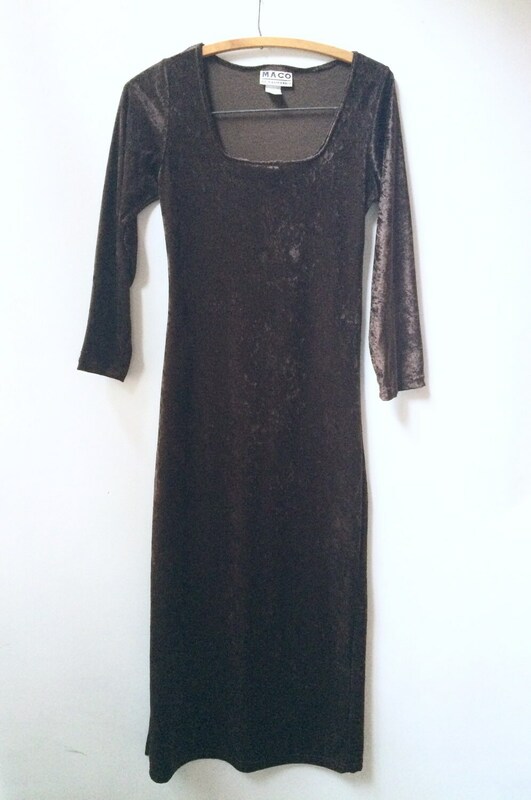 3/4 sleeved, form fitting maxi with slit up leg on right side of dress and a square neck. Length (shoulder to hem): 50"
Length of Slit (from bottom hem): 17"
Length of Arm (shoulder to cuff): 21"
Neckline Plunge (distance from shoulder): 6"
Measurements taken with dress at rest. 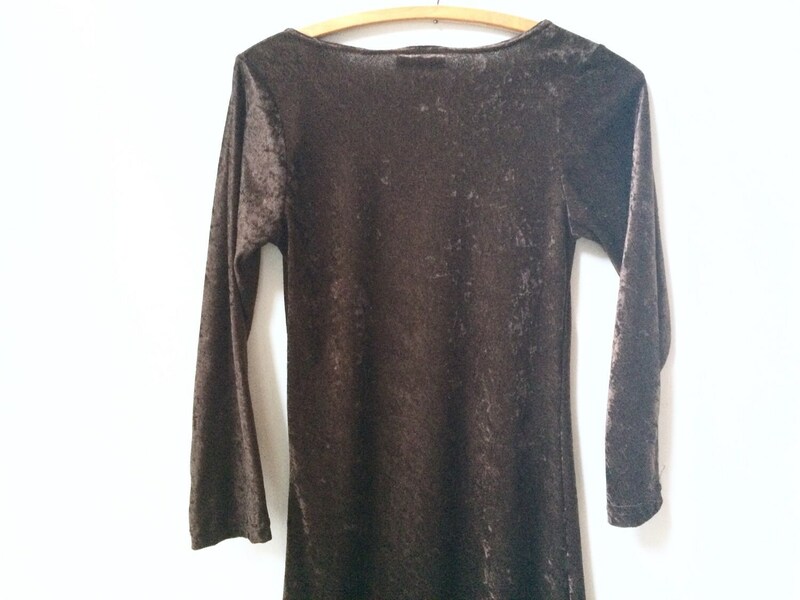 Material is very stretchy and will accommodate many sizes. 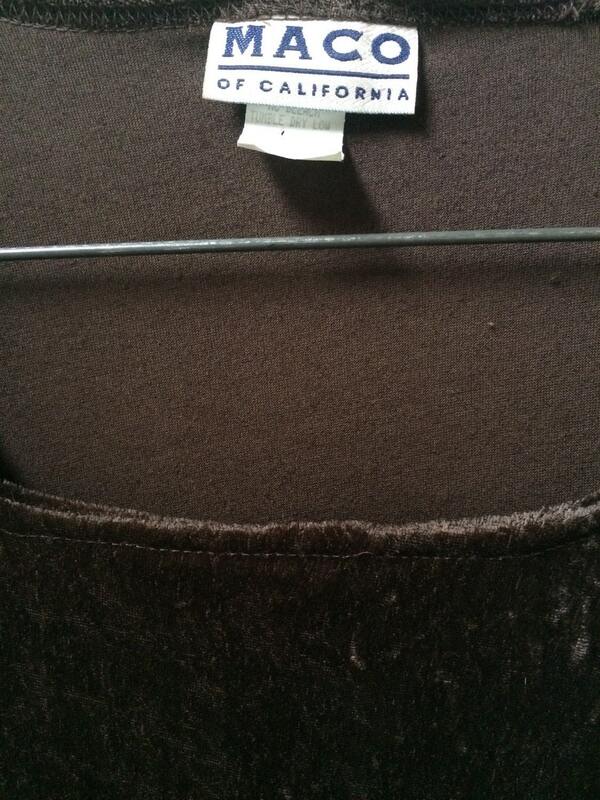 Please let me know if there are any other questions about sizing that I can answer to ensure a good fit.